The new addition to Glasgow’s distilling revival is lining itself up as a blend of tradition and originality. 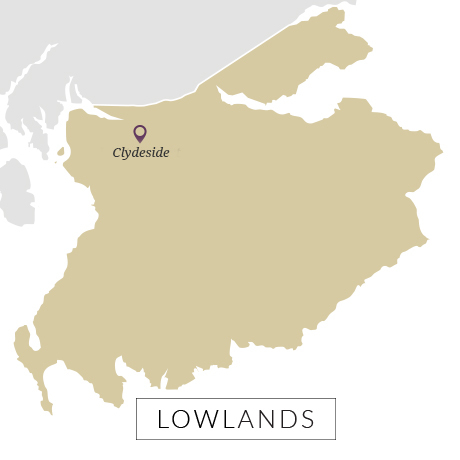 One of the first malt distilleries to be built in Glasgow for 40 years, Clydeside intends to eschew its Lowland base and create a malt whisky that reflects the city’s shipping heritage. Owner Morrison Glasgow Distillers has worked closely with distilling consultant Dr. Jim Swan to design a ‘light but fruity spirit’ which is less grassy and malty than other Lowland malts, instead veering toward a spicier Speyside style to reflect Glasgow’s past in bringing tobacco and spices to the UK. Glasgow was once a major whisky distilling and bottling hub of Scotland, with around 40 companies operating out of the city in 1963. But by the 21st century they had been reduced to just a handful. 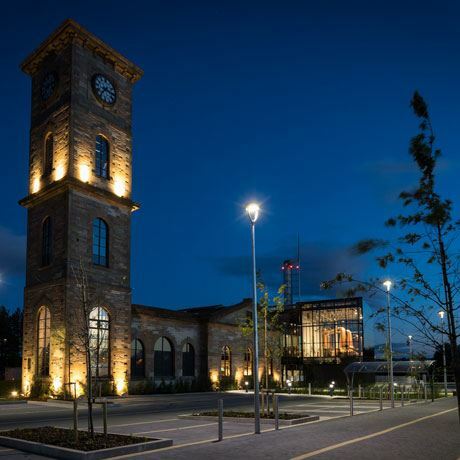 The whisky contingent dwindled so much that Glasgow distillery, which began operation in 2014, was the city’s first malt plant to open in 39 years. A small operation, named Kinclaith, had operated within the walls of Strathclyde grain plant on the banks of the Clyde from 1957-75, but it too flew solo as Glasgow's only malt whisky representative. Around the same time as Glasgow distillery’s conception, Tim Morrison, owner of AD Rattray and formerly of Morrison Bowmore Distillers, conceived an idea for a malt distillery on the banks of the Clyde. The old Pump House, built in 1877 by Morrison’s great grandfather – John Morrison of builders Morrison and Mason, which also built the historic Queen’s Dock – was originally designed to provide hydraulic power to raise and lower the bridge servicing the commercial dock. By the 1970s shipping traffic had declined, and the dock was filled in using rubble from the demolition of St Enoch Station. The Pump House, now redundant, spent the next few decades as an Indian restaurant, Italian restaurant, a contractor’s office, and a visitors’ centre for the Tall Ship attraction at Glasgow Harbour. 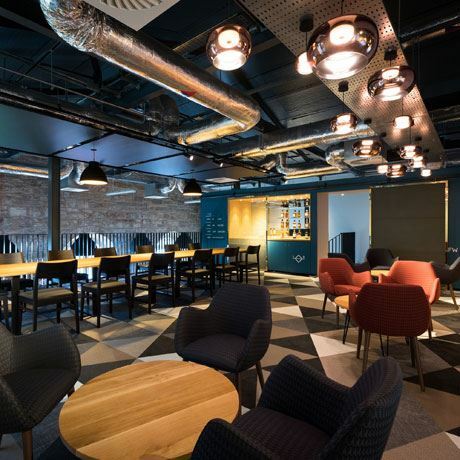 In 2011, Morrison Glasgow Distillers (MGD), led by Tim Morrison as chairman, his son Andrew as commercial director and Glen Moore at managing director, purchased the site and began a long process of seeing its conversion into a malt whisky distillery. 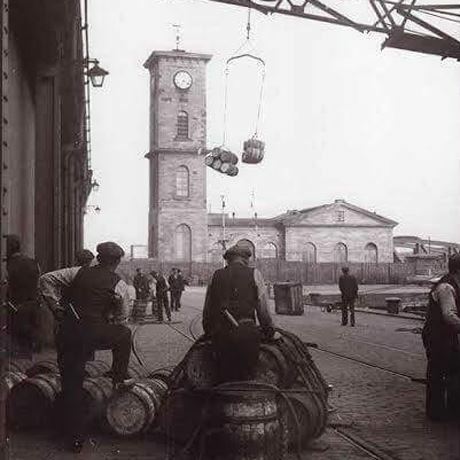 Originally the plant was to be called Glasgow distillery, but excavation complications arising from the infilling of the Queen’s Dock halted construction work, allowing the Glasgow Distillery Company to open its own Glasgow distillery in Hillington. Work finally began on Clydeside distillery, which took its new name from the riverbank on which it sits, on 1 August 2016. 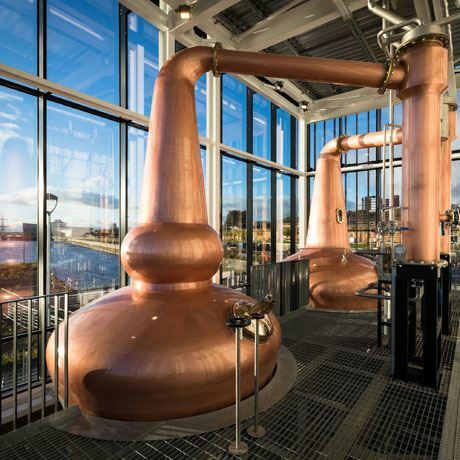 The first distillation at Clydeside occured on 6 November 2017, with the visitor centre opening on 23 November. Beam Suntory's Scotch single malt arm. Family-run indie bottler and retailer. Holding company overseeing the construction and operation of the Clydeside distillery in Glasgow.